When it comes to Salman Khan Charity works, hundreds of people would tell you about the help Bhaijaan of Bollywood extended to them. 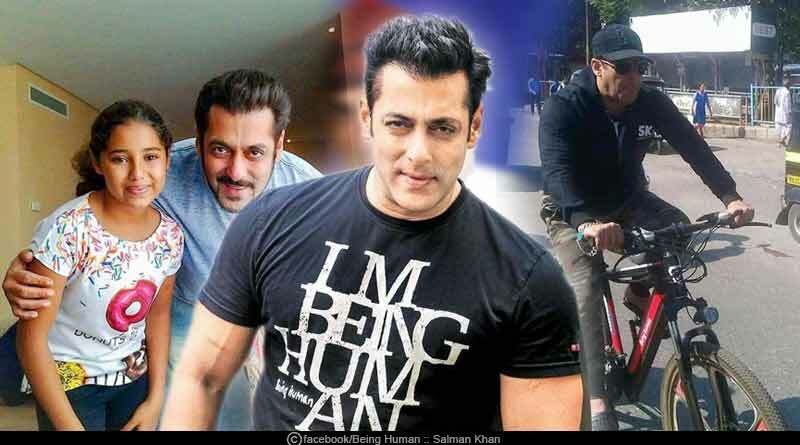 Salman Khan has always been involved in charity works for the betterment of society. Being Human Foundation, founded by the Bollywood star in 2007 offers free education and healthcare services for the less privileged in India. As per a report published on Indiatimes, Salman Khan utilizes only 10% of his total income and the rest of the money goes for charity works. In the year 2010, Salman Khan announced to donate his Bone Marrow. Being Human was launched by Salman Khan in the year 2007. Being Human sponsors education and medical expenses of hundreds of less privileged children. Being Human foundation provides help to people with severe facial deformities, aka Craniofacial Deformities, Cochlear implants, eye camps, women’s health camps and other welfare programmes. Some of the initiatives taken by the foundation are ‘Drought Relief Initiative In Maharashtra’, ‘Relief Initiative for Kashmir Flood Victims’ and many more. Before Being Human, Salman Khan used to visit Manovikas Kendras & NGOs for the treatment of an underprivileged section of society. In 2010, during the shooting of Dabangg, Salman distributed around 200 bicycles to street kids. When Salman Khan’s Kick was earning high, the actor announced on Twitter, that children who are suffering from any heart disease and can’t afford the treatment, Being Human will get 100 genuine patients treated. During the shoot of Bajrangi Bhaijaan, he also tried to offer a livelihood to one of the sons of a Kashmiri family which was struggling to make ends meet. 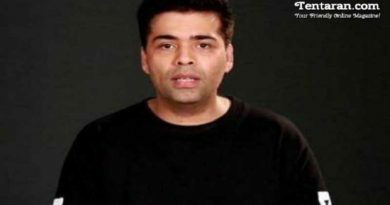 The only son of the family was also given work on the sets of his film. Apart from the regular works of charity, Salman Khan from time to time also keeps finding ways to win more hearts and admirers and take their blessings. He adds his unique style into everything that does. In 2015, Salman along with his Bajrangi Bhaijaan team also painted the entire Hatluni village in Karjat, since the houses were made mostly of mud and wood, with tin or thatched roofs. Salman Khan loves to paint. According to the reports, Salman auctioned some of his paintings and donated all the money to the Being Human foundation. Well, when we talk about the charity of Salman Khan it is as huge as his stardom. People have different opinions on him considering an active legal proceeding upon his name. But I believe what can be better than charity? 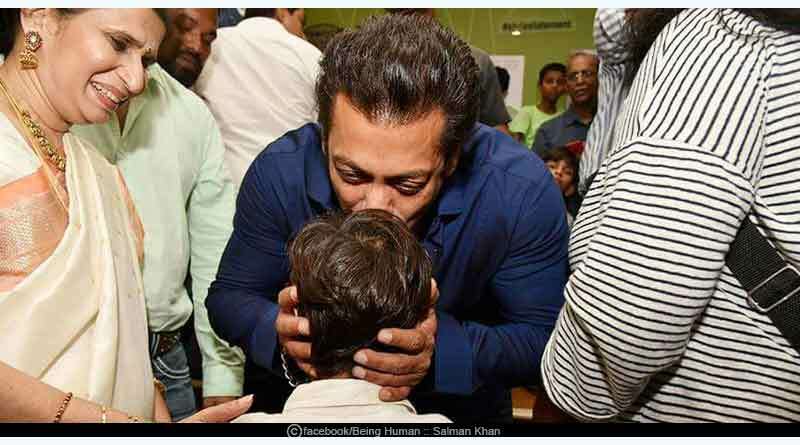 One of the many instances, where Salman has provided a helping hand to people in need, is when after attending a party, Salman Khan found street children selling colouring books outside the venue. Since Salman carries credit cards only so he borrowed money from his bodyguards and bought all the books. There are many such small yet heart touching gestures made by Bhai to the people in need. For more articles like ‘Salman Khan charity works’, do follow us on Facebook, Twitter, and Instagram.